Last weekend I quilted several quilts because it was quite a bit cooler. This is one of the ones I managed to finish during those "cool days". This is number 58 in my series where I began focusing on using up my 2 120 liter bags of 2" strips and pieces. I began that series in 2015. I haven't made much progress on in 2018 due to my blues series. I noticed that there were lots of patterns available for "jelly roll" or 2.5" strips out there - but I was looking for something that helped me use these up - of course, once again, using what I had. There really are "no rules" in this series, except that 2" strips have to play a major role in the quilt design. Obviously I do not limit the pattern to only using 2". That would get pretty boring fast. 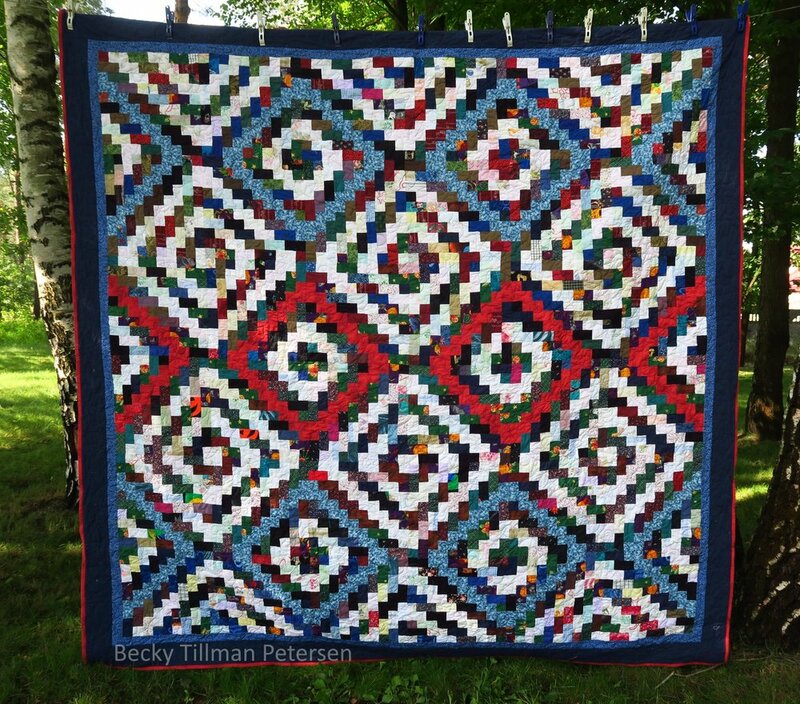 This one uses rectangles that quilters commonly call "bricks". These are 2"x3.5" strips - and I managed to use up a lot of my strips in it. 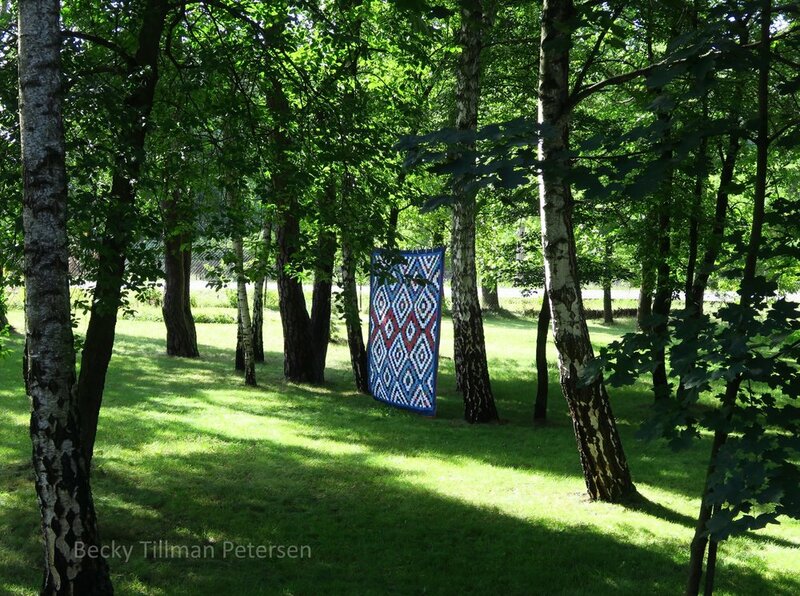 You can tell that I created the design with the use of light and dark strips - and of course the red and blue constants. I had my doubts about the pattern as I was making it - not sure if the design showed up "strongly enough". Several of you assured me that it would work - and would even be a good Quilt of Valor design - though, as is, it is too big as their size requirements are pretty specific. Thank you for your encouragement with this one - but I have a confession - I chose it to finish as one my first in the recent finishes to go ahead and do - mostly because I didn't think that I could ruin in - since I didn't really like it! I'm sure I'm not the only one who doesn't want to "ruin" a beautiful top so you just put it off. At least that's what I have a tendency to do. Now that I'm done with it, and especially when you see it from a distance like the picture below, it is fantastic! The design shows up well and so, yes, it has received my approval, at long last! The pattern has been on the free patterns page for some time now, but I've updated the pictures. And that's one of the things that's been happening in my part of the world! Don't forget to check out what my sis has for you in the store!